With a mix of recently-enacted and forthcoming legislation, Washington State is beginning to embrace mass timber construction. Washington State Governor Jay Inslee recently signed legislation for State Bill 5450, a new law that directs the state’s building code council to “adopt rules for the use of mass timber products for residential and commercial building construction.” The law will allow state and local jurisdictions to begin to work mass timber construction into local building and zoning codes, a first step toward the wider adoption of the construction technology. The law includes the requirement that rules adopted for the use of mass timber products by the state building code council “must consider applicable national and international standards,” a nod to the forthcoming changes to the International Building Code (IBC) that would institute new guidelines for mass timber structures rising as high as 18 stories. The proposed changes are currently under consideration by IBC’s Ad Hoc Committee on Tall Wood Buildings, which was established in 2016. The committee will begin collecting public comments on the proposed changes in April of this year. 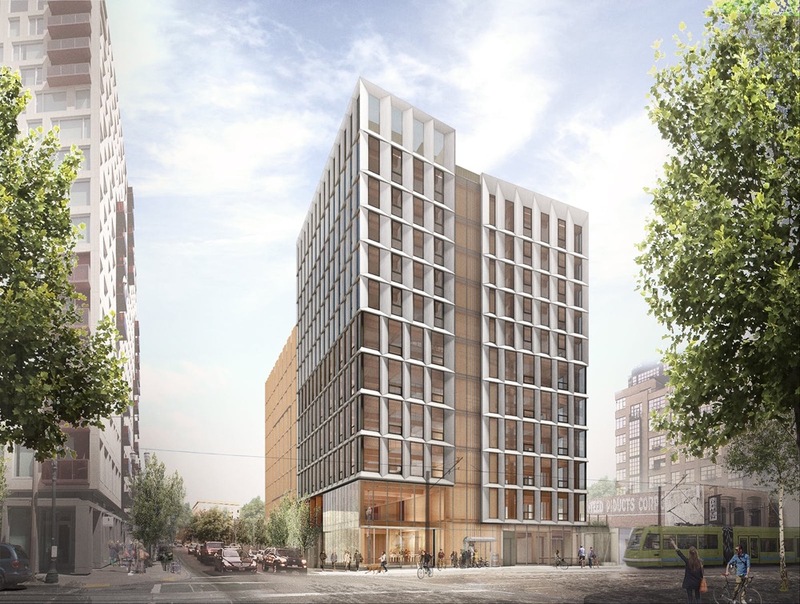 In a more aggressive move, the Washington State Legislature is also working toward enacting State Bill 5379 (SB 5379), a measure that would require all public buildings in the state rising 12 stories or less be built using Cross-Laminated Timber (CLT). The move is a natural one for Washington, which has a thriving timber industry and has some catching up to do in terms of mass timber adoption when compared to neighboring Oregon. 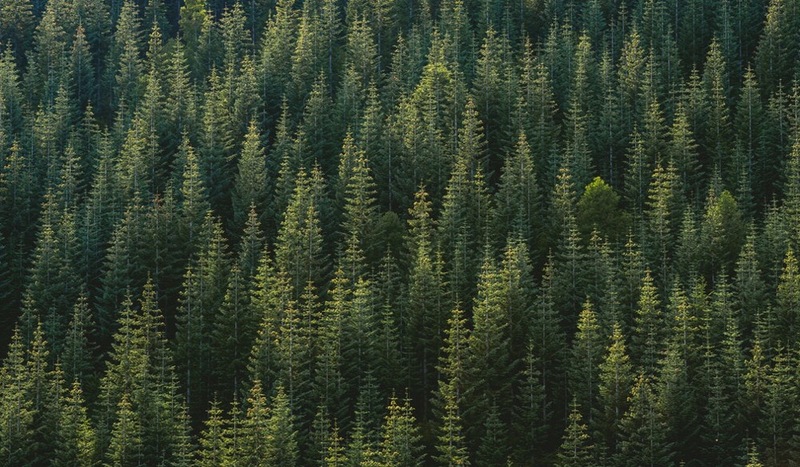 According to the Washington State Department of Commerce, the timber industry brings in over $28 billion in sales annually across the state and employs over 105,000 workers garnering over $5 billion in wages. The potential law would make the state the first in the country requiring mass timber construction. Currently, SB 5379 is only in committee at the moment and a timeline for passage and enactment has not been released. 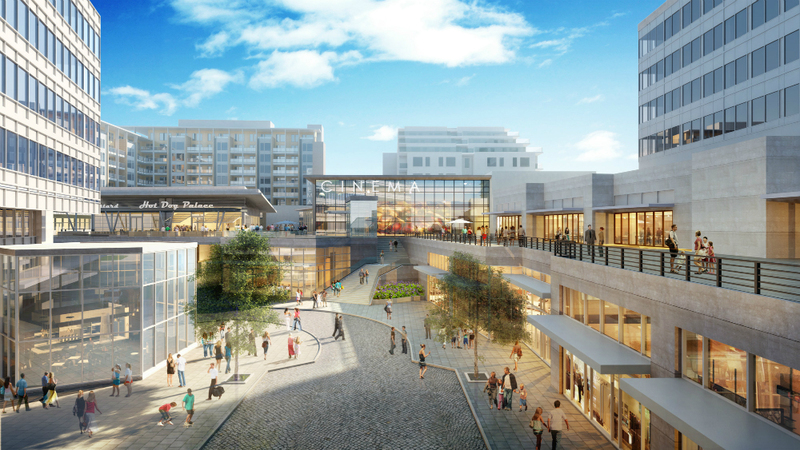 Construction has started on the Kirkland Urban, an 11.5-acre mixed-use development designed and master planned by Seattle-based architects CollinsWoerman for the Seattle-adjacent city of Kirkland, Washington. The complex, a redevelopment of an existing shopping mall, is being redesigned around the notion of an “18-hour city,” a designation typically reserved for the mid-sized metropolitan centers that offer the density of amenities, jobs, and housing present in larger cities but do not necessarily run around-the-clock. The model relies on the mixed-use configurations to maintain a more balanced streetlife than prototypical purpose-built business districts, which typically shut down after business hours. In a press release for the first phase of the project, partners PGIM Real Estate, Talon Private Capital, and Ryan Companies, US detail their plans for the first phase of Kirkland Urban: 390,000-square feet of Class-A office space, 140,000-square feet of retail, 185 apartments, and 1,700 parking spaces. The office spaces will take the form of a pair of six-story towers resting atop a multi-tiered retail podium. The developers are in the process of filling the towers with tech workers—tech companies Wave and Tableau have already signed on as anchor tenants—and plans also include a 50,000 grocery store to be operated by Kroger. The complex aims to include public art-lined “multi-family open spaces” and will feature a series of plazas oriented toward an adjacent recreational park, Peter Kirk Park. The residential component of the project, housed in a brick-and-balcony-clad apartment block, will be designed by Seattle-based Weber Thompson and feature a roof deck, club room and fitness center. Seattle-based firm Hewitt will provide landscape design services for the project. The developers and architects are aiming for LEED Gold certification for the project. The second phase of the Kirkland Urban has not yet been announced, but phase one is scheduled for completion in 2018. What could be better than film, urbanism, architecture, and design? When film, urbanism, and design unite, we get powerful and insightful results: there’s La Haine, a French film that follows three young men in the banlieues of Paris; there’s Mon Oncle, that pokes fun at the absurdities of residential Corbusian inspired architecture; and more recently films like My Architect, where Louis Kahn’s son seeks to know his father's work, and through his work, his father. For those of you in the Seattle area this week, a heads up: the Northwest Film Forum (NWFF) is hosting its annual design film festival, ByDesign 2016 that features films exploring architecture, art, urban design, and other design-related themes. The festival runs for four days: April 14-17. NWFF is screening the German film, Beyond Metabolism, which looks at the impact of Metabolism, an architectural post-WWII movement in Japan (that could be a distant cousin to Brutalist architecture with its imposing, monumental concrete forms) through the lens of Sachio Otani’s Metabolist 1966 International Conference Center in Kyoto. Then there’s Getting Frank Gehry, that presents Gehry's controversial and first Australian-built project: the one-year-old tree-house-inspired Dr Chau Chak Wing Building, which serves as the home for the University of Technology business school in Sydney. 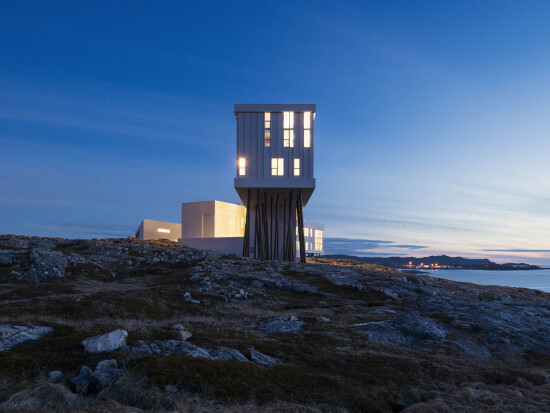 Farther north, Strange and Familiar: Architecture on Fogo Island, delves into Todd Saunder's architecture—an inn and artist studios that populate a rugged island in Newfoundland and Labrador in eastern Canada. The Chinese film, The Land of Many Palaces investigates the intersection of urban relocation, development, real estate, ownership, and coal in China’s largest ghost city, Ordos City, located over 400 miles west of Beijing. Built by the government with the wealth of newfound Ordos coal deposits, officials are moving farmers living in the countryside to the newly developed urbanized area. “Neighbors and friends,” says a woman with a microphone in the movie trailer who appears to be a government representative addressing new residents, “We are trying to create a more civilized city.” The festival opens with a film staring artist Tom Sachs, A Space Program, who will attend the Seattle premier. 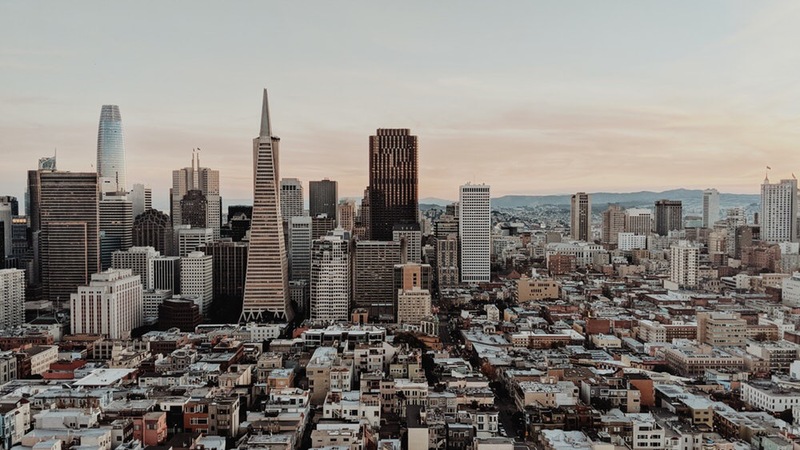 If you live closer to New York City and Los Angeles, the two cities will play host to architecture and design film festivals this fall (filmmakers: there's an open call for submissions). 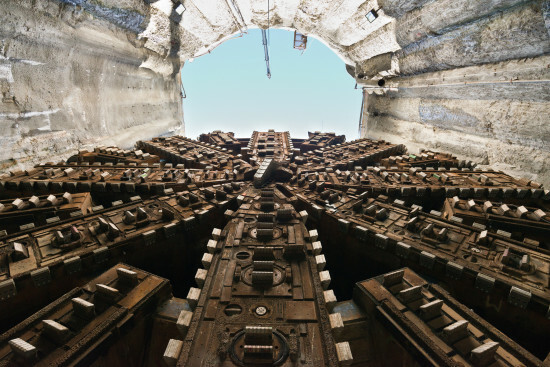 Big Bertha, Seattle's famous tunnel boring machine, is stuck underground again. Bertha was running for just under a month following a two year delay to fix a broken cutter head. And the machine has taken to Twitter, as we imagine it can get lonely so far beneath the city. 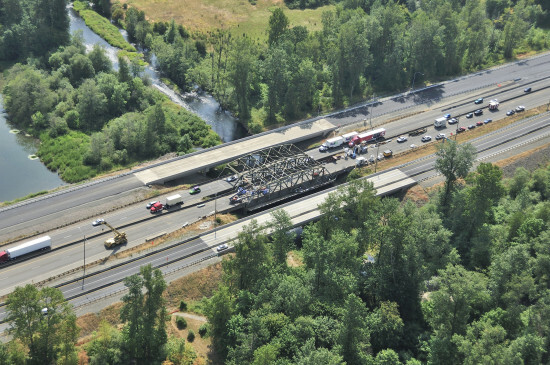 A little over two weeks ago, a large sinkhole formed while Bertha was drilling the over-57-foot-diameter Highway 99 tunnel to replace the earthquake prone viaduct. No one knows exactly why it happened. Just earlier that day, a nearby Seattle Tunnel Partners (STP) barge tilted, offloading tunnel dirt into Elliot Bay and dismantling part of a dock. The 15-foot-deep, 20-feet-wide, and 35-foot-long sinkhole was quickly filled with 250 cubic yards of concrete and sand. But Bertha is still stuck. STP wants to start Bertha again, but the Washington State Department of Transportation (WDOT) hasn't given them the necessary written permission to move forward yet. SDOT says they need more information. But enough of the dismal facts and figures. And now, for something different: The nonprofit blog Strong Towns interviewed @StuckBertha, Bertha's unofficial Twitter account, in January. Enjoy some excerpts from their tongue-in-cheek conversation, below. Check out the full interview on the Strong Towns blog. We all hope Bertha gets unstuck very soon.